Style up your boyfriend's "awkward" plaid shirt with all kinds of accessories. 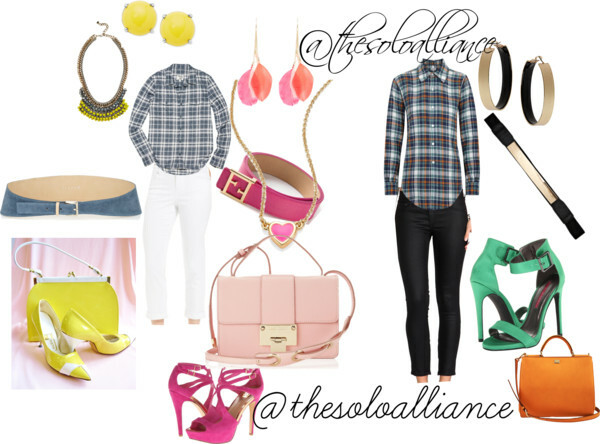 Change the plaid shirt from southern farmer to southern belle with just the addition of accessories, some cute skinny capris, and some cute heels. These are three options for outfits. I have even used a plaid shirt as a cute dress. All belts should be used at waist belts, to figure form the plaid shirt. It can be done!